Cruise on over to our nautical sticker collection! We have everything from boats, ships, and sailboats, to lighthouses, pirates, and whales. 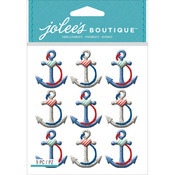 You can use these nautical stickers for your scrapbooking albums, cards, or crafts.